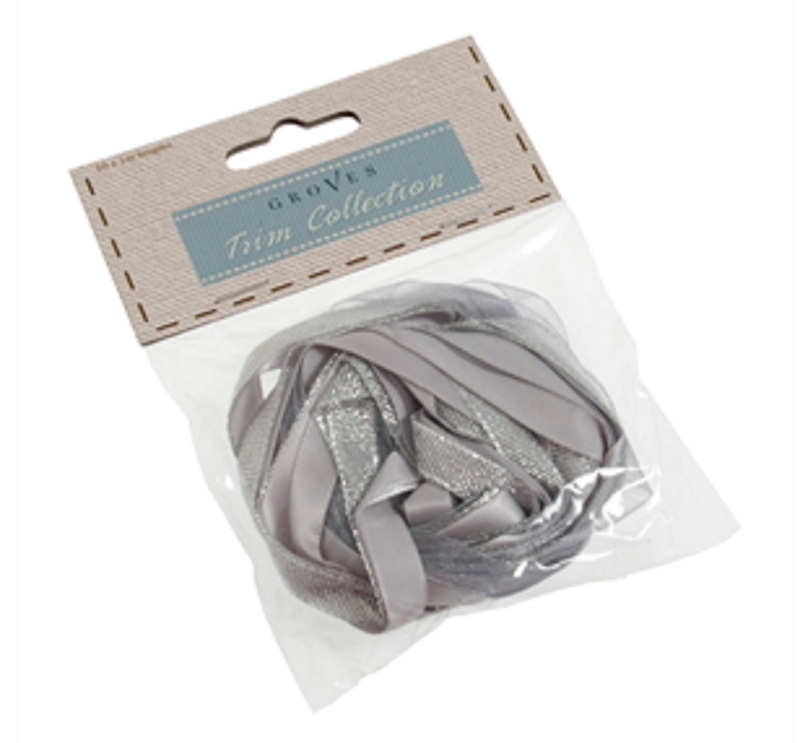 Groves Mixed Ribbon Assortment. 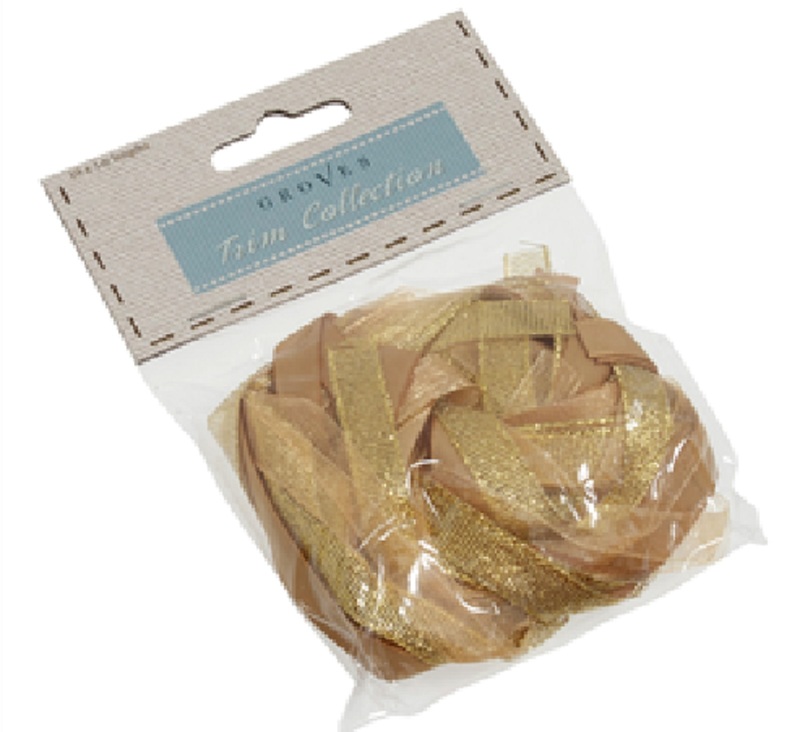 Great value mixed ribbon bag - ideal for gift-wrapping, sewing and card-making. 2m x 25 designs. 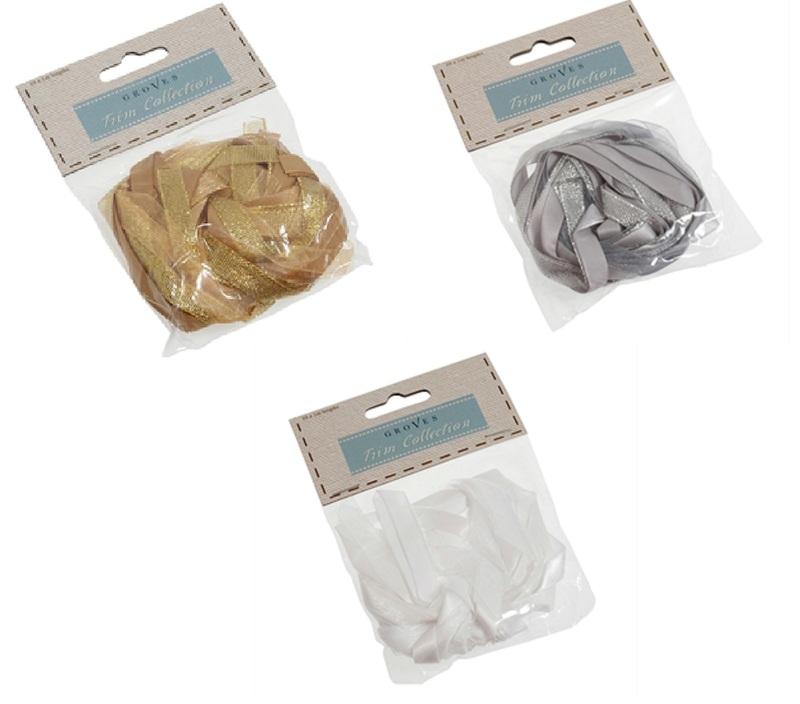 Mixed compositions. Not suitable for washing.